Family secrets ripple through time when three sisters in 2013 discover the truth about a young African-American woman in 1958 who realizes she can pass for white. What happens in-between is a frank and funny look at the shifting boundaries of tolerance and what identity really means. A gang war twixt nuns and priests! Episode 2 of Annex’s smash-hit Penguins, about a gang war between nuns and priests in the Catholic church that rocks the dioceses! Lynn Jepson, Jen Moon, Deb Skorstad and the UW Costume Shop, Seattle Children’s Theatre, and Theater Schmeater. 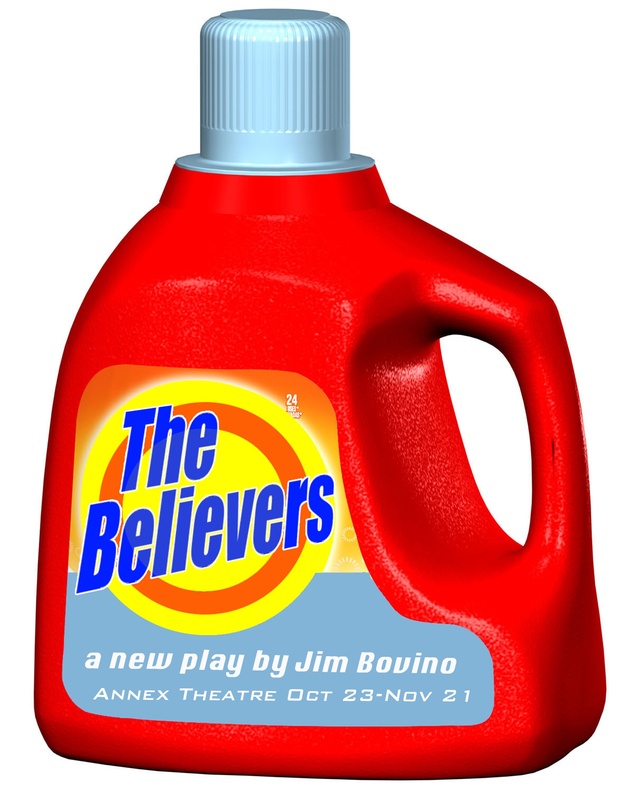 The Believers is set in an unidentified city where life has become transformed into a series of fragmented and privatized events where the cameras are always rolling, the lights are always on, and the hero could be you. The play examines the manufacturing of reality and questions the ability of individuals to distinguish between autonomous and enforced behavior and the possibility for original thought in a mediated world. The play does not have a traditional plot or narrative, but is structured as a series of vignettes loosely connected by theme.